Thanksgiving is my personal favorite holiday. I may or may not love food a little too much. 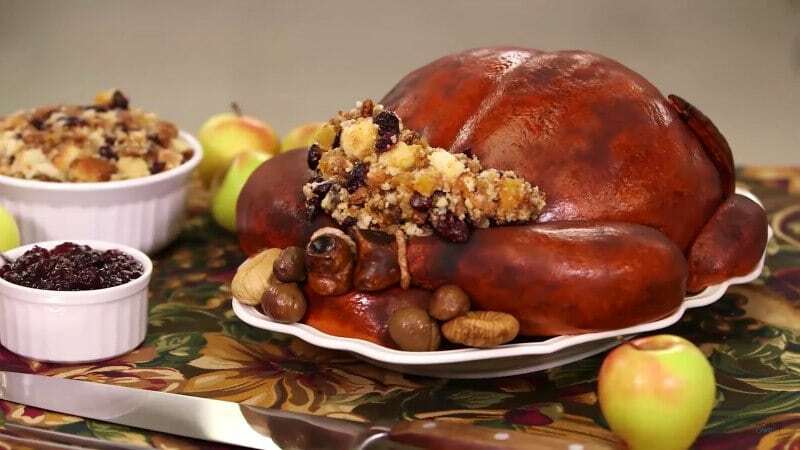 Thanksgiving is special to me for many reasons but mostly because I won’t let my husband buy a turkey any other time of the year to make sure it is extra special on Thanksgiving. Extreme? Maybe, but necessary. 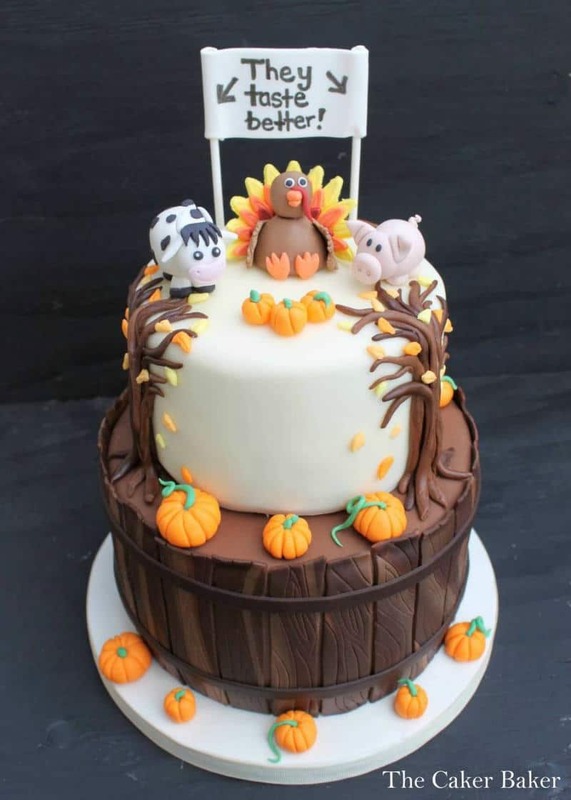 Here we are just into November and I wanted to start the month off right with some awesome Thanksgiving themed cakes! I know what you’re thinking. 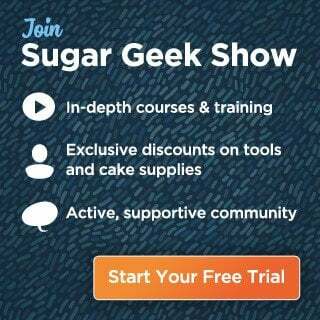 I thought this was a post about cakes? And it still is. Yes that is a turkey that is actually CAKE. If that doesn’t confuse your taste buds I don’t know what will. Here is a simple little cake that I thought was just darling! 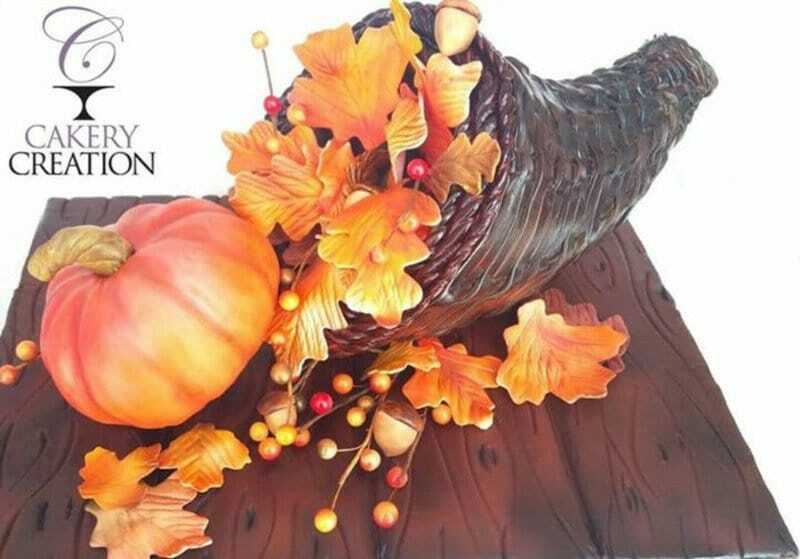 The fun colors and a simple turkey topper would certainly make this a hit at any Thanksgiving gathering. 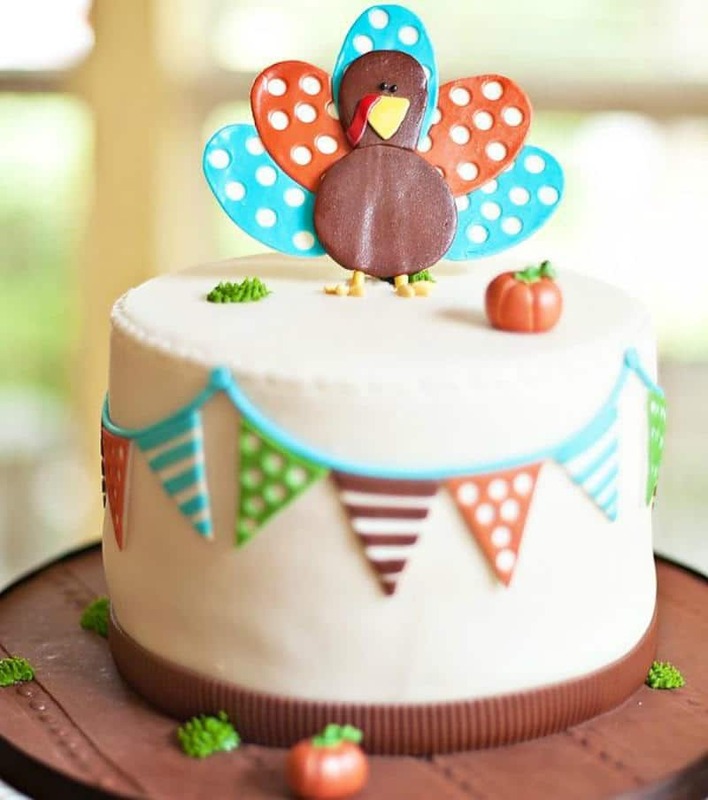 Okay so how cute is this pilgrim turkey cake though?! So well done you can actually see the plea in his eyes. 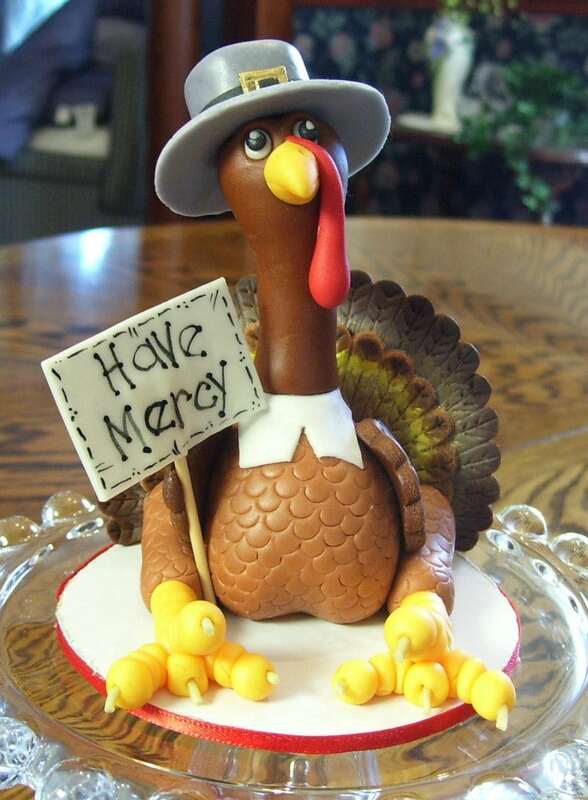 This cake is equally as cute but this turkey is just trying to pawn death off onto someone else. Not that I can blame him. We certainly can’t forget the pilgrims and indians. These toppers are adorable! 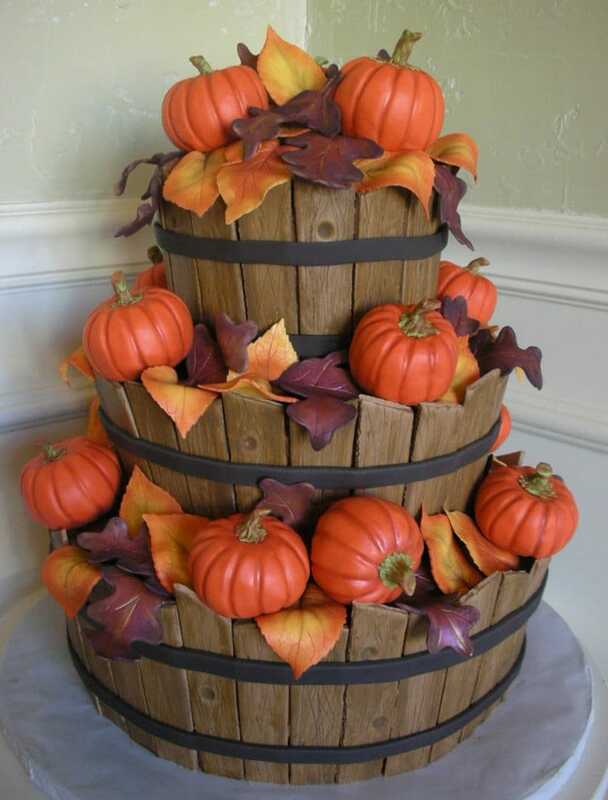 On to more serious cakes, this barrel of pumpkins cake is just awesome! I love the uniformity throughout the barrels, leaves and pumpkins. Cornucopias are another common sight at Thanksgiving time and I love them. How cool to turn one into cake! 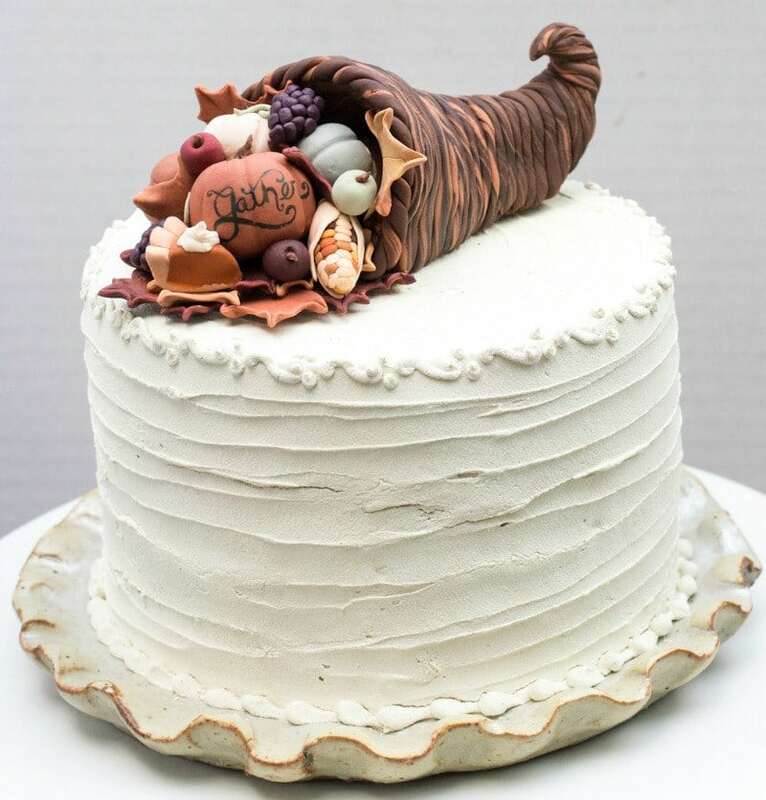 If an entire cornucopia cake isn’t your thing, try doing a cute little cornucopia topper. I absolutely love this one! The little details inside are amazing, look at that teeny tiny piece of pumpkin pie! 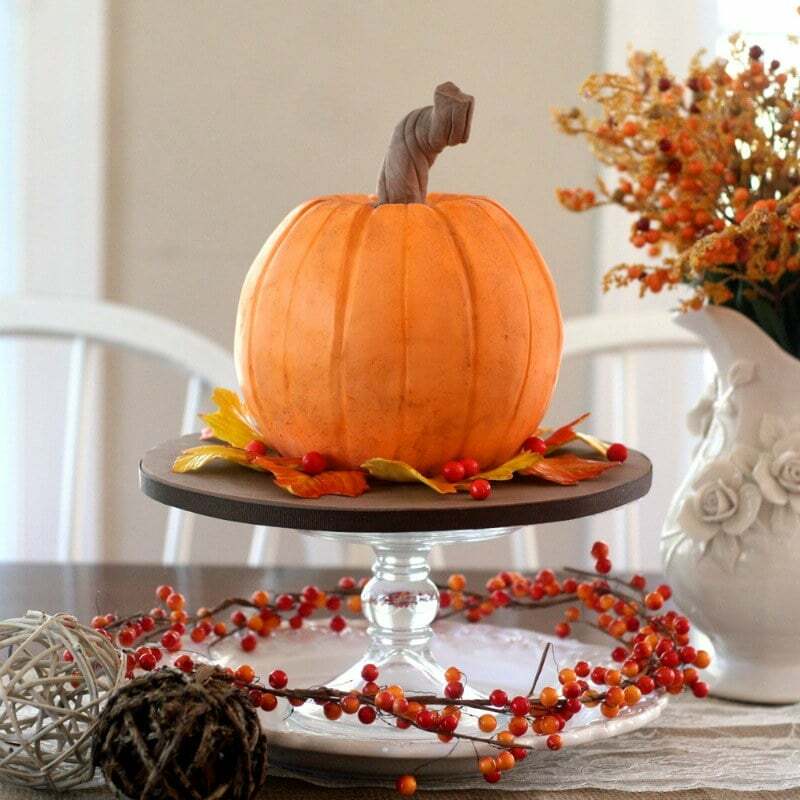 I love the idea of a simple pumpkin cake as a centerpiece to the gathering. Look how nice that looks! 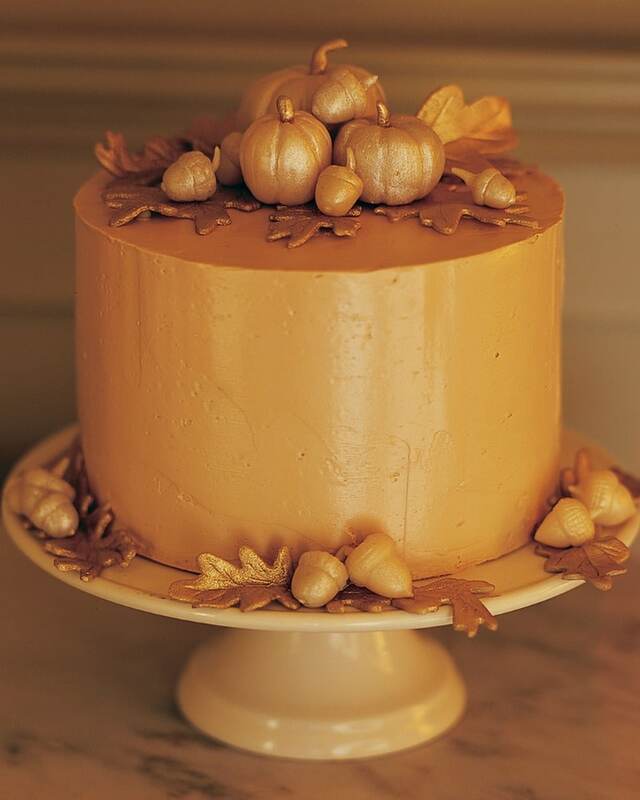 I found this elegant Thanksgiving cake and immediately swooned. I really love that brown-tan-orange color with subtle gold highlights. 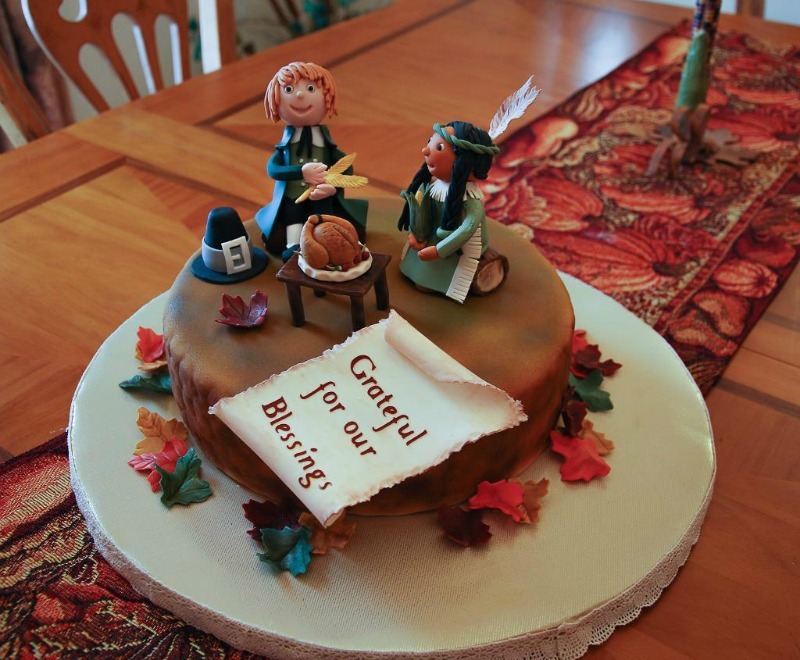 Perhaps after reading this post cake will become the go to dessert at your table this Thanksgiving instead of pie. Don’t get me wrong, I love pie too but sometimes stepping outside the norm is just fun. 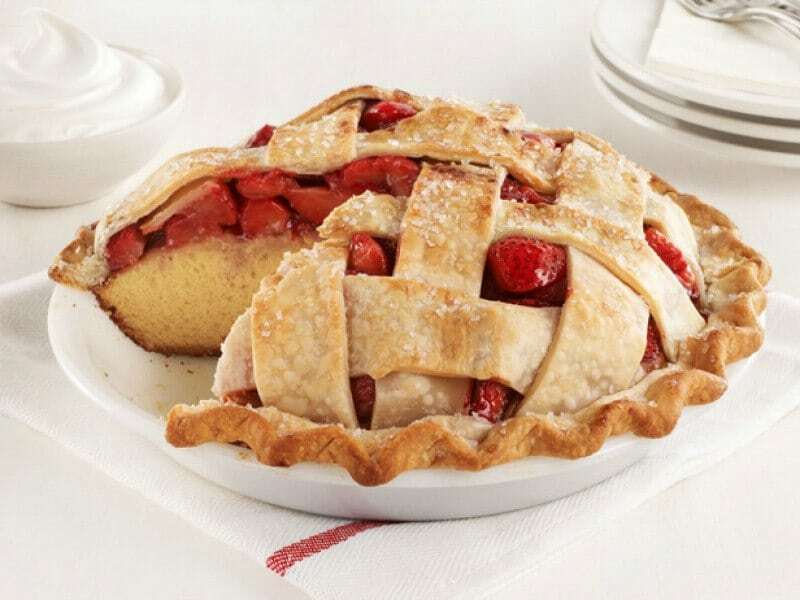 Maybe we can compromise and do pie flavored cakes or better yet just do a pie cake.